John Carter progresses: I’m not sure what the program is at Disney, but I’ll give them this — they are doing a great job of ramping things up with increasingly intriguing releases of stills and video. First there was the teaser trailer last July, which was intriguing enough, but not a killer. Then the Dec 1 trailer, which rocks. Then some cool banners. Then a few days of quiet. 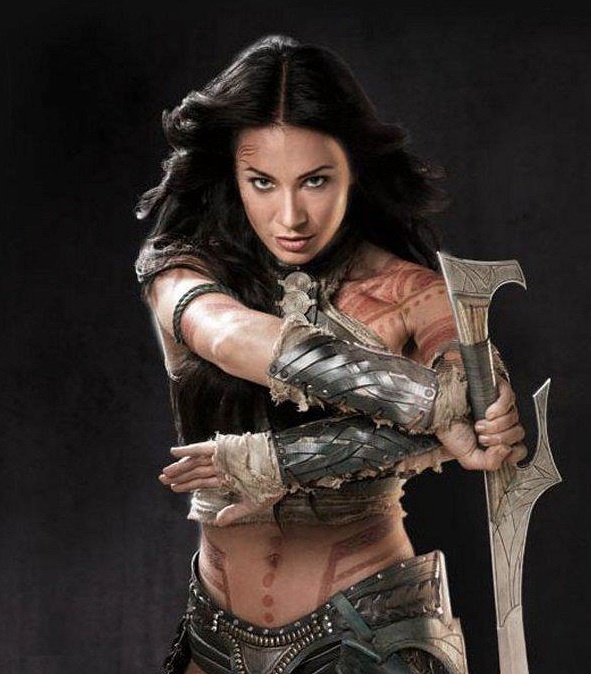 But somewhere out there, this still surfaced — at last, Lynn Collins as Dejah Thoris with all the mystery and allure that Dejah Thoris should have. Thank you. Things are getting interesting. UPDATE: Just found this one too — excellent, “Warrior Princess” look. The irony of all of this is that now, as I’m re-reading A PRINCESS OF MARS, when I think of the characters, I see the actors who are playing them in the film!